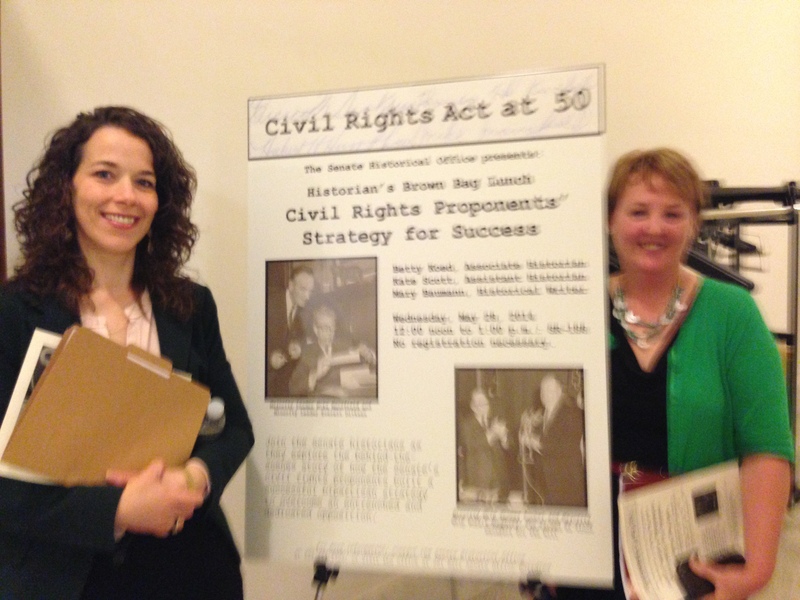 The Senate Historical Office was celebrating the 50th Anniversary of the 1964 Civil Rights Act with a discussion of the ‘Civil Rights Proponents’ Strategy for Success”. 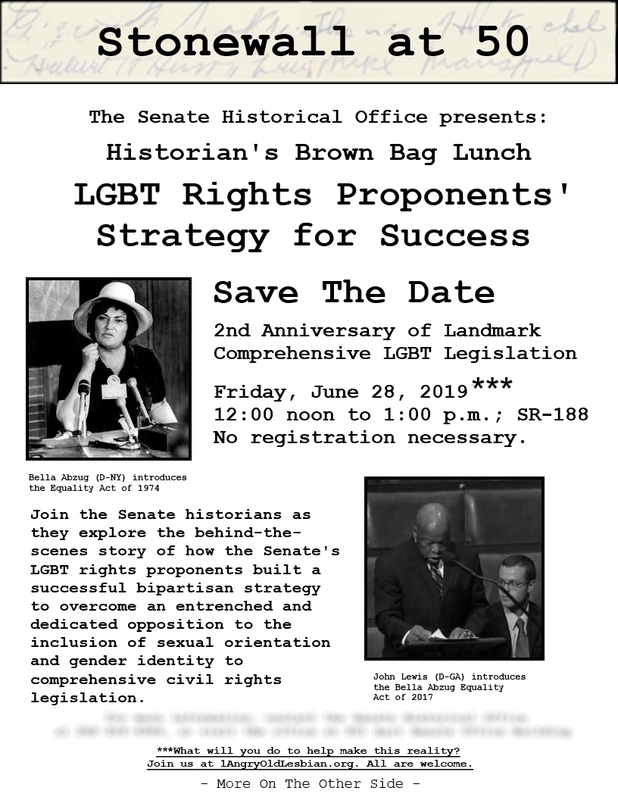 So, we dreamed using the knowledge they would impart resulting in a future ‘Stonewall at 50: LGBT Rights Proponents’ Strategy for Success’ discussion. More on the story and HRC & NGLTF failing to learn from this history lesson here.